We had to run an errand in Wimbledon a couple of weeks ago. It was a frustrating errand that didn’t end all that well. As you can imagine, I was annoyed. So what did I do? If you guessed went to a pub, you know me very well. 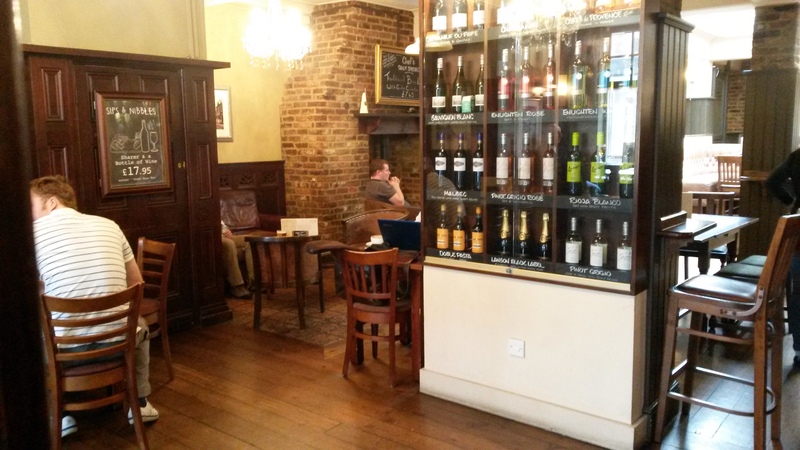 Close to the Wimbledon Tube station you can find The Hand and Racquet Pub. Many of you know I’m a huge tennis nut and I thought the name was cute. The place is a lot bigger than most pubs. And it’s a little more posh than many I’ve been to. The staff was super friendly and a couple of them cracked jokes. That always enhances the experience. 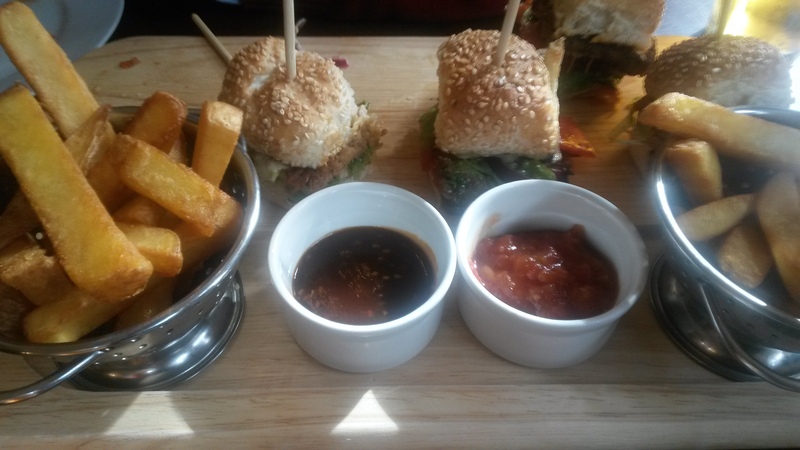 We decided to share the burger board, which included three mini BBQ pulled pork burgers, three Tickler Cheddar & Streaky Bacon burgers, and chips. Now, The Better Half, for some reason does not like pulled pork so I had all of those and they were quite tasty. I wasn’t a huge fan of the bacon burgers. They had salsa on them and I wasn’t expecting that when I bit into one. Normally I don’t mind salsa, but it didn’t work for me that day. This pub is not near us at all and that’s a shame since I would like to go there more often. But if I happen to get tickets to Wimbledon this year, I now know a place to go to before, after, and during rain delays. I like to plan ahead. I give this pub four out of five stars. Some friends are visiting us this weekend and I’m pretty excited. I’m thinking there will be some pub visits! Have a great weekend! 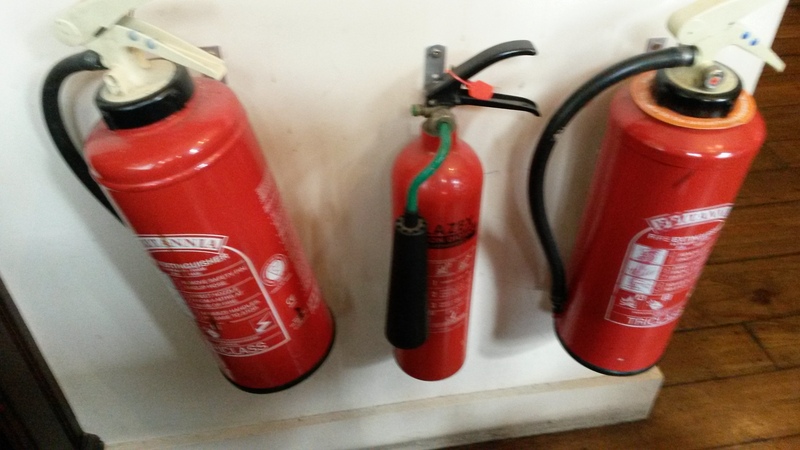 I like a pub that takes safety serious. You can never be too careful when surrounded by drunks. This entry was posted in Weekly Pub and tagged English Culture, Life, Photography, Photos, Pub, Pub of the Week, The Hand and Racquet Pub, Wimbledon. Bookmark the permalink. It’s like pulling teeth when I have to leave to find a pub. But I do it for all of you. as long as you are grateful and understand how hard the job really is, it’s all worth it. THOSE FRIES. yum! just discovered your blog, really cool stuff! cheers! I’m a bit of a connoisseur when it comes to fries and I can say that they were indeed, yummy. Thanks for stopping by. I’ll pop by your blog soon, when the friend visit is over. Cheers! Love the name of the pub, TBM! It looks quite nice from your description too. Happy weekend to you too! I hope you had a great weekend Vishy. I think Pub Reviewer would have to be just about the Best Job Ever. If you love French Fries, you have to come to Canada and my neck of the woods for Wes Chips. and then there’s a Fudge Factory just down the road from that. Wes Chips–I’m listening 🙂 and a Fudge factory. You know how to reel me in! Hahaha hope your friends enjoy a pub crawl with you! Okay, I’m just going to say this and appear like a dumbo but what exactly is ‘pulled pork’? Sorry, probably not the right bit of the piece to focus on but I can’t get my head round what it is?? The pork is slow cooked and then “pulled” or shredded into bits. usually it is served with a tangy bbq sauce. It’s quite popular in the States. This was our first visit to Wimbledon and we both liked it. I have a feeling we head up the road quite a bit. OMG, I want those french fries!!!! Have you ever tried them with mayo? That’s what they use instead of ketchup in the Netherlands, and I must admit, it’s really good! Have a great weekend :). I am not a mayo fan, but the better half is. We always have to order mayo and ketchup–not mixed together though. I know someone who does that. Eww, that’s gross :). I do like the mayo occasionally, but usually I just eat mine plain. I love when they are cooked well and really crispy. There’s nothing worse than mushy fries! I’m not a fan of mushy peas either, but that’s popular here. I agree with that. Never could like them. I’ve changed my opinion about some vegetables as I get older, but not with peas. Your burger board burgers/pulled pork look like sliders! The fries~I want them.. 🙂 No beer? Hope you had a great weekend!! I remember having a half pint of beer but I didn’t order it so I can’t remember the name unfortunately. When we arrived I was in dire need to use the loo so the Better Half ordered everything. Hahah! I felt like going to the pub a few times this weekend too. What an awesome pub. So true about safety too. i used to work in a bar – people are so dumb when they drink! I can only imagine you saw some really stupid acts while working in a bar. People are idiots and when you add booze: disaster! 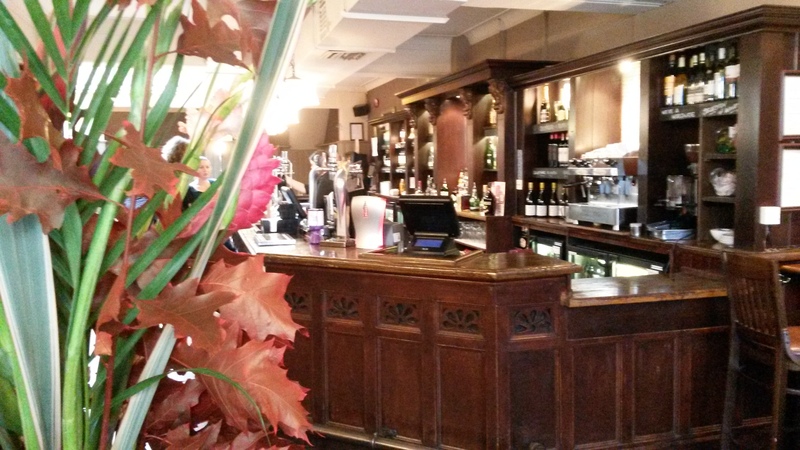 Of course…a pub visit! Sounds like a fabulous thing to do to unwind some tension! Yes. Some errands are so frustrating.